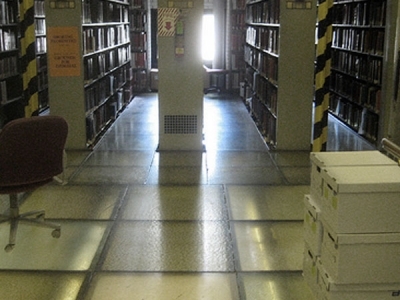 Areas that have become essential to a library’s success as a community resource, like computer labs, teen spaces and even meeting rooms, were missing from St. Louis Public Library’s Central Library. 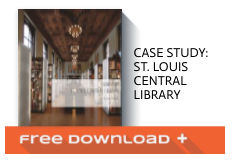 When a library as famous and well visited as the St. Louis Central Library undergoes a massive renovation, great care and consideration must go into the planning process. 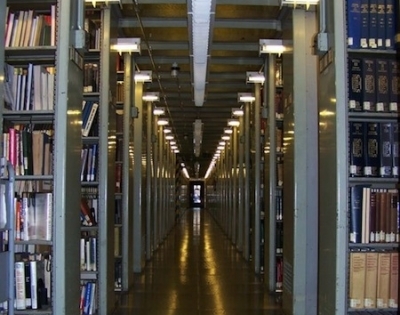 Areas that have become essential to a library’s success as a community resource, like computer labs, teen spaces and even meeting rooms, were missing from St. Louis Public Library’s Central Library. In order to make room for these types of spaces, books needed to be moved, but there was nowhere to move them since the stacks were at capacity. Watch this video from STL-HOU about the renovation. There were several challenges that needed to be addressed as the planning began. There was an absence of technology integration in the building, as well as a lack of communal spaces for patrons to use for study and collaboration. 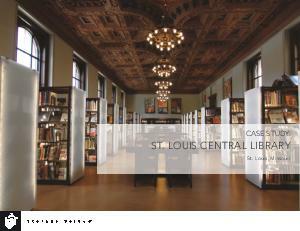 Areas that have become essential to a library’s success as a community resource, like computer labs, ten spaces and even meeting rooms, were missing from St. Louis Central. 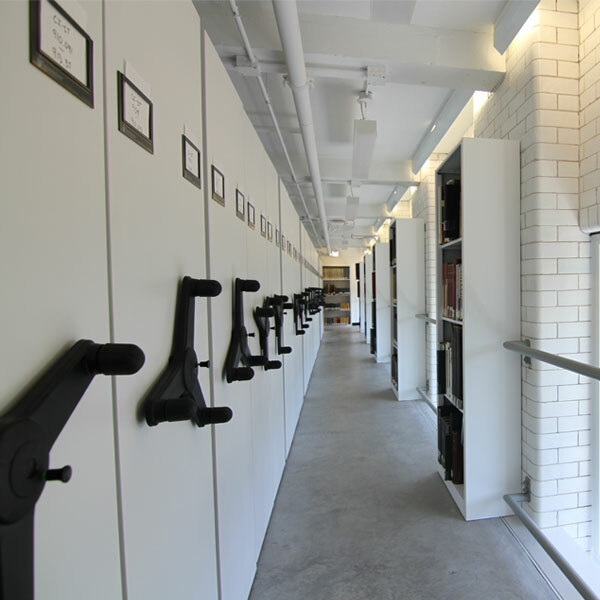 With so many challenges to overcome, the St. Louis Central Library integrated many different shelving solutions into their renovation project in order to open up space for repurposing and create a sleek, modern appearance in the historic building. 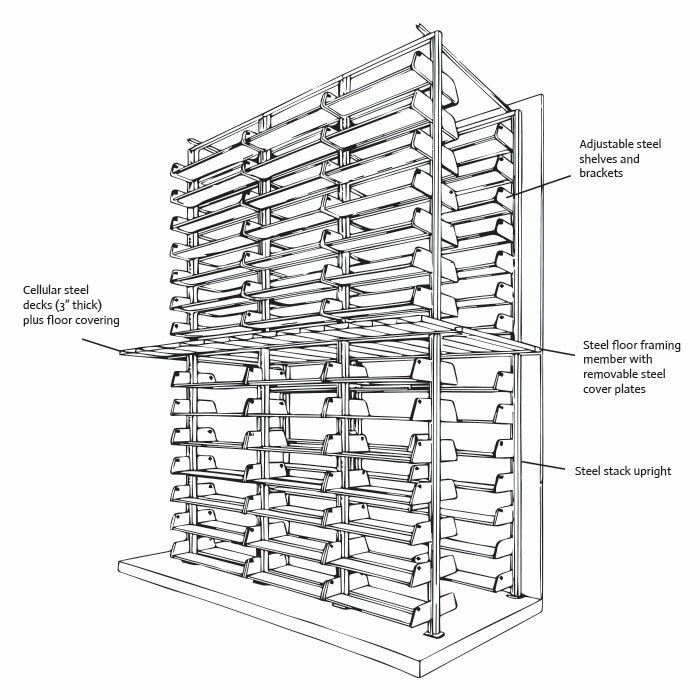 One of the major renovation projects was completed in the central stack area which was constructed from a steel-framed, self-supporting structure. 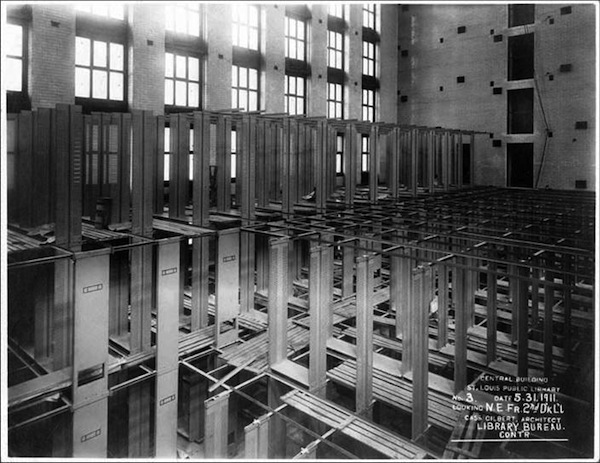 This structure was made up of metal shelving uprights bolted together one on top of the other, into multiple tiers (floors) separated only by opaque glass tile floors that were suspended right off the steel shelving posts. This outdated system created several safety hazards if there was a fire or any kind of seismic activity. Picture a house of playing cards, where the different “floors” are built off of the different “walls” made of cards. Due to the nature of the self-supporting structure’s construction, there was a small gap between the base of the metal shelf and the start of the glass floor. Because there was no separation between tiers, other than glass, this was a major fire hazard. If there were a fire, it would spread quickly and with no resistance all the way up from the lowest tier to the highest. The second issue with this particular stack system was seismic. In St. Louis, the closer the building sits in relationship to the river, the greater reinforcement is needed to prevent any damage from seismic activity. This system, not unlike the proverbial house of cards mentioned earlier, would be unstable in the event of an earthquake. This now 102-year-old library is a blend of old and new, where ornate wooden ceilings and dramatic chandeliers meet high-tech computer labs, sleek glass walls and exposed concrete floors. 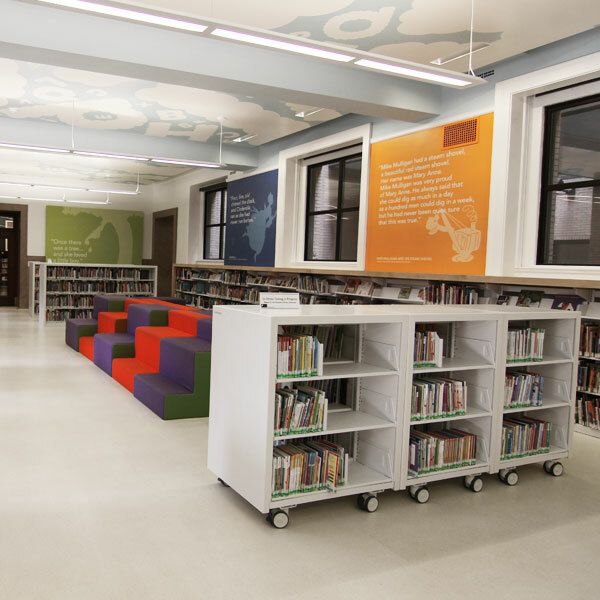 With so many challenges to overcome, the St. Louis Public Library integrated many different shelving solutions into their renovation project in order to open up space for repurposing, and to create a sleek, modern appearance in the historic building. 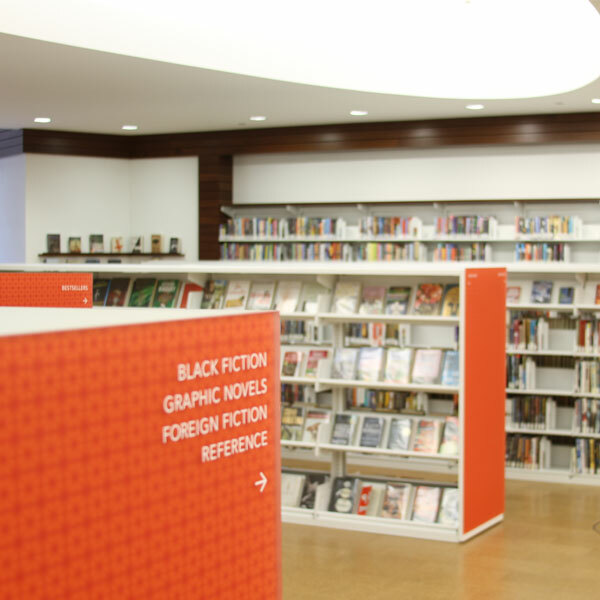 C ustom glass end panels were used in the areas with LED lighting integrated into the shelving. 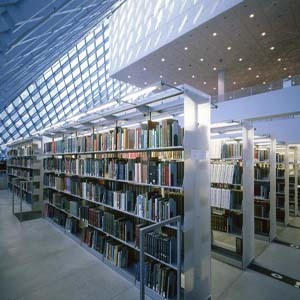 The glass panels are illuminated – making the stacks look almost like works of art themselves and create a design feature unique to the St. Louis Central Library. 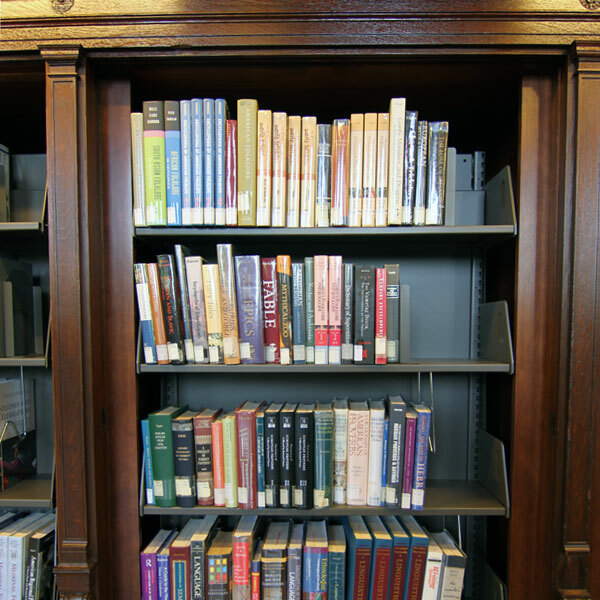 I n many of the reading rooms, the original bookcases lining the walls were restored and put to use, but in some cases the wooden shelves were cracked or damaged. 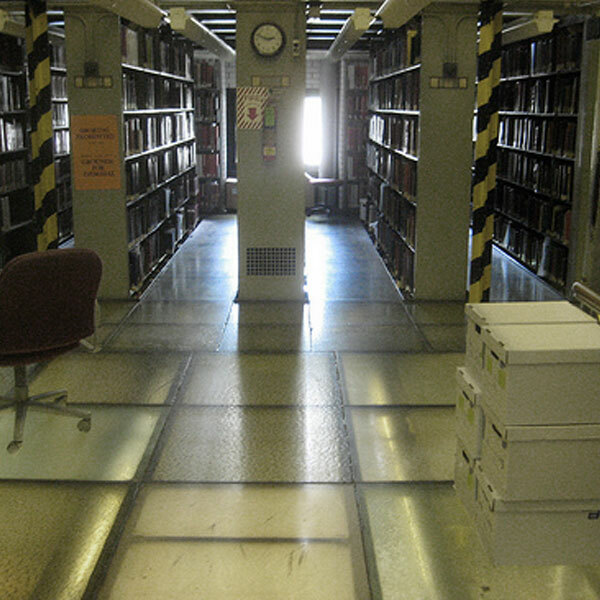 Spacesaver then provided metal cantilever shelving to sit inside the original wooden cubbies. 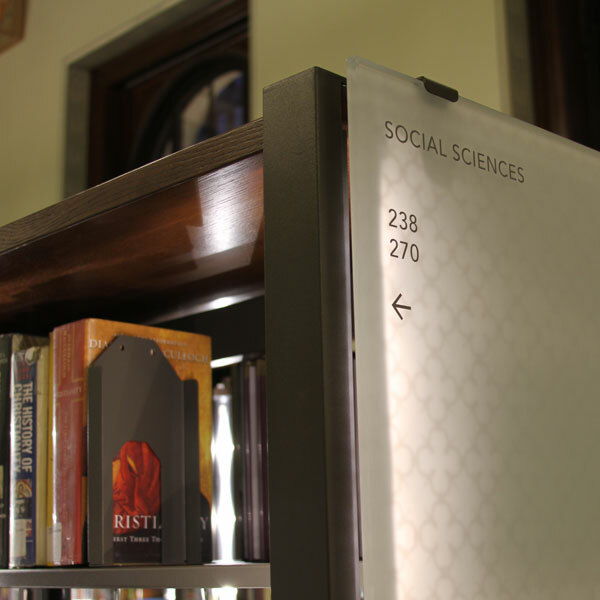 R ed, acrylic end panels were used on the cantilever-shelving units in the showcase space on the main level of the library called The Center for the Reader. These pieces were custom ordered and then mounted to the shelving during installation. 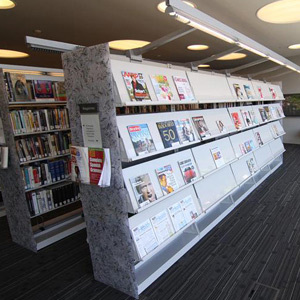 I n the children’s area, cantilever shelving was outfitted with a custom base, wrapped in solid surface and then placed on heavy-duty casters so that the area is completely reconfigurable on the fly by the library staff. 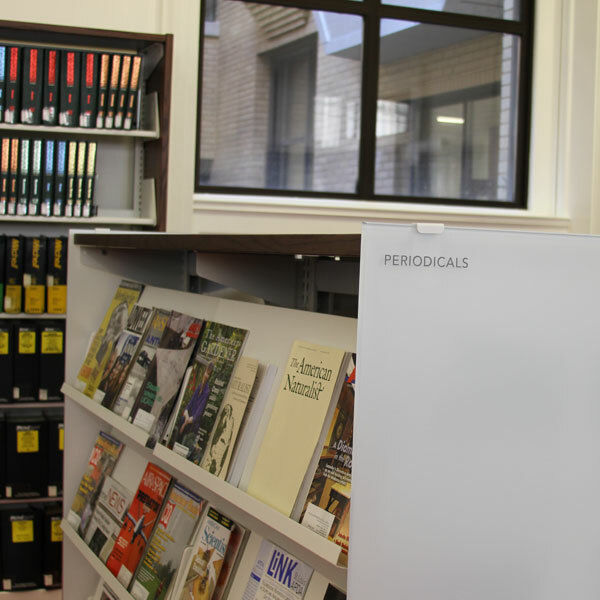 G lass end panels were also installed on the cantilever shelving used in the media room. 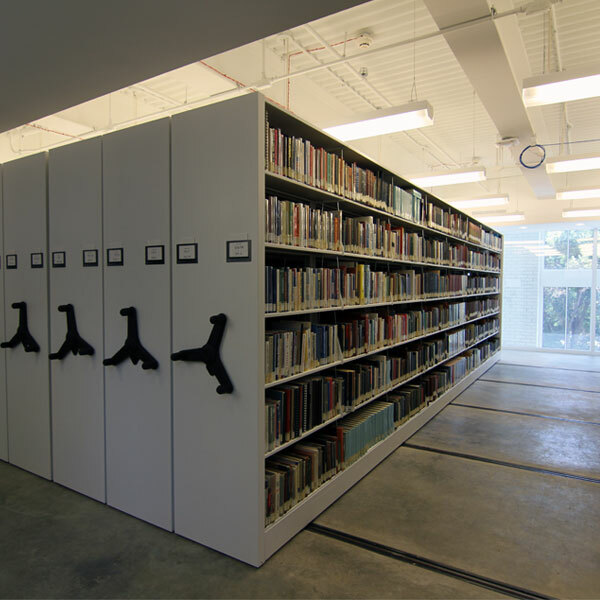 Cantilever shelving is the most common system used in libraries, due to the on-site reconfigurability. 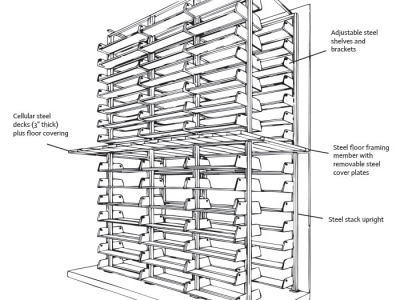 These cantilever shelves were designed with hinged periodical display shelves. 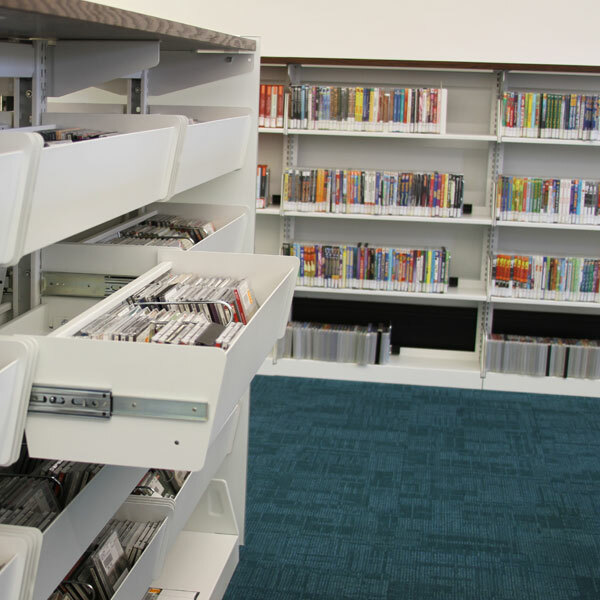 C antilever shelves designed with pullout drawers to store disks and other media like DVDs. 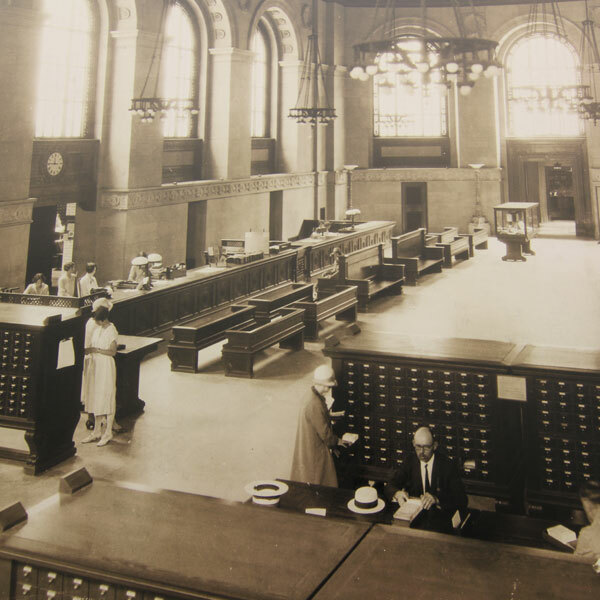 The building has been visited by millions of people from all over the world, but after a century of use, the historic majesty of the structure could not make up for the lack of modern amenities necessary for a library to thrive in the 21st century. 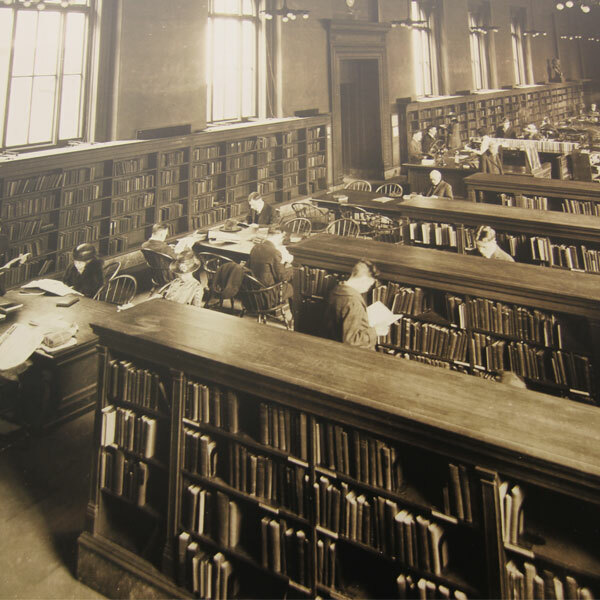 The St. Louis Public Library system began in 1865 that was open to paying members and housed a collection of just 1500 books. By 1893 the collection had grown to 90,000 books and was now accessible by the public with at no cost. 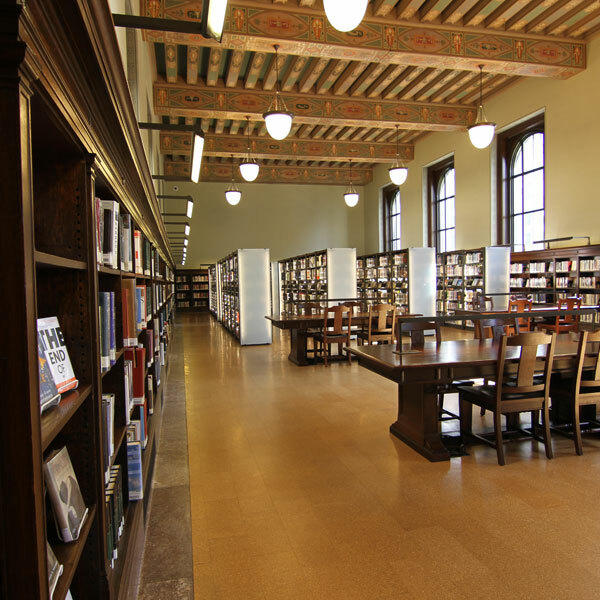 Today the St. Louis Public Library system is made up of 15 branches, which include the St. Louis Central Library, and houses a total of 4.6 million volumes in their collection. 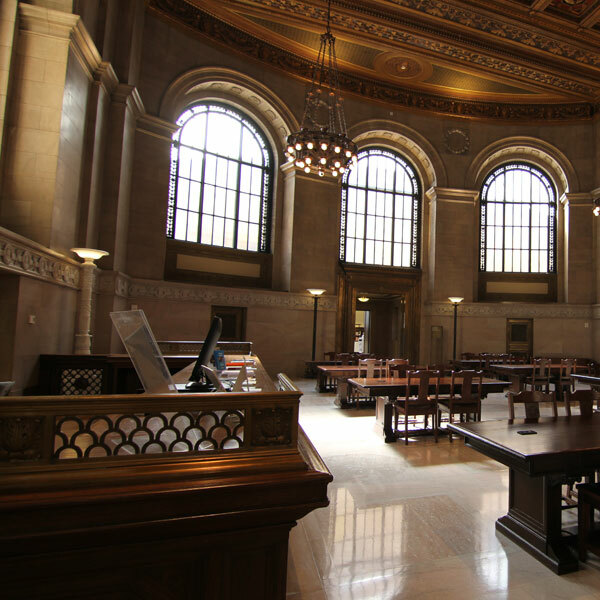 The iconic, Italian-Renaissance inspired St. Louis Central Library, was designed by one of the most famous architects of the early 20th century, Cass Gilbert, who later went on to design the United States Supreme Court building in Washington D.C. The Library was constructed in 1912 with money from a donation given in 1901 by Andrew Carnegie. Watch this video from STL Beacon about the renovation.